The hip rotators can add significantly to your power, stability and consistency of your sport. Knowing which hip muscles are strong or weak is the first step to knowing the muscles to exercise and integrate into your athletic training. The answer is 1 – Rectus Femoris. This part of the quadriceps muscle group runs from the ASIS on the superior front corner of the pelvis straight down the thigh to the patella. It function primarily as a flexor of the thigh on the pelvis. 2 – Adductor Brevis – Originates on the pubic bone and inserts on the medial and posterior portion of the upper femur on the lesser trochanter and linea aspera (see the bump on the medial side of the femur on the diagram). This causes the action to not only adduct the thigh, but also to externally rotate the femur. 3 – Piriformis – The muscle originates on the front surface / lateral margin of the sacrum and inserts into the greater trochanter of the femur (the large bump on the lateral side of the femur). It is one of the main external rotators of the femur. 4 – Gluteus Minimus – This muscle originates on the outside of the pelvic bone, primarily anterior to the hip, and inserts into the greater trochanter of the femur. 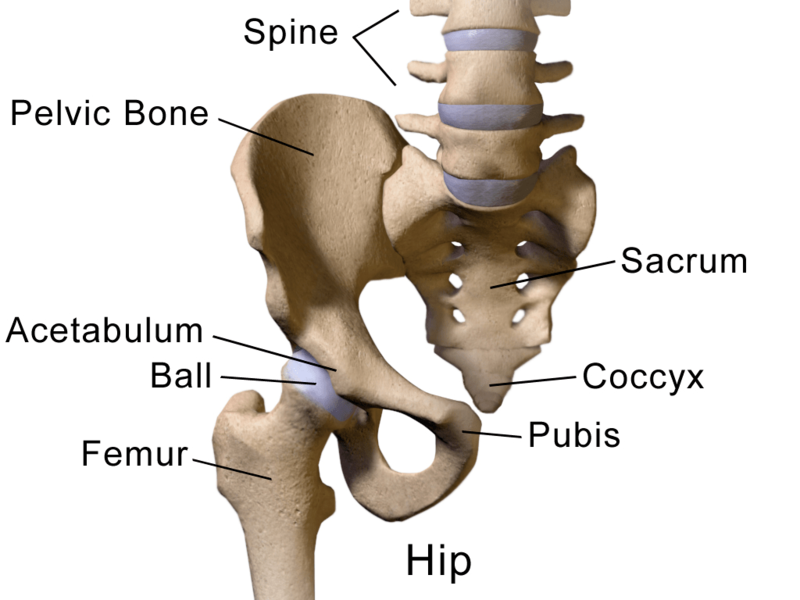 It is one of the main internal rotators of the femur. 5 – Sartorius – This long thin muscle originates on the ASIS of the lateral pelvis and crosses the thigh diagonally to insert below the knee in the pes anserine on the medial side of the tibia. 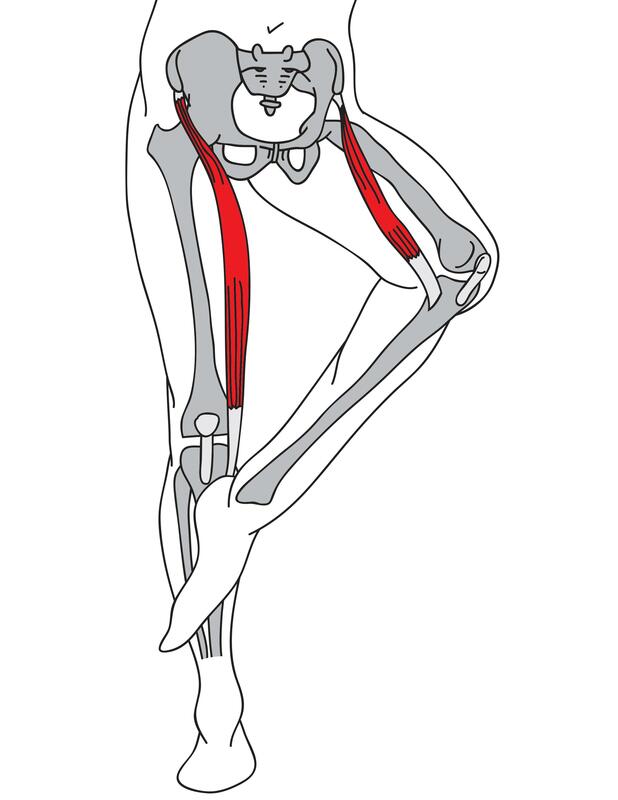 It is known as the ‘Figure 4 Muscle’ because it functions to bring the foot up while rotating the thigh externally bringing the legs into a position resembling the numeral 4. Previous Previous post: Which is not a rotator cuff muscle?